This Daddy, Mummy & Me Crocheted hats set, I had to make it when I realized that even if I started to make my Christmas Gifts since October, still I forgot someone. 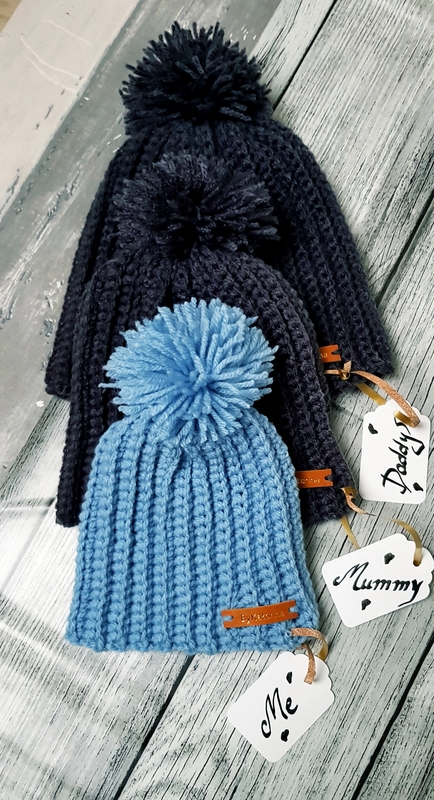 I needed something fast and easy, since the Christmas is near and this week I’m flying to Romania to see family and friends and these Daddy, Mummy & Me hats ware the perfect project. It’s an easier and fast project. Took me only a few hours to make all three hats. Also beginner friendly. 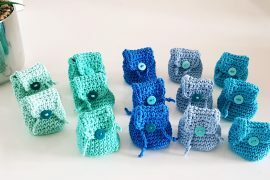 So, if you want to impress your family or friends with a hand-made gift, even if you are a newbie, this is perfect for you. 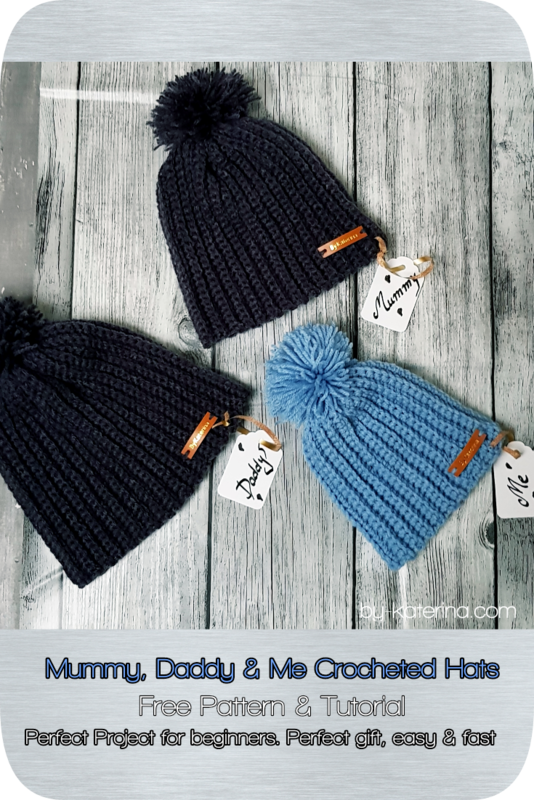 The design of these Daddy, Mummy & Me Crocheted Hats is very simple. We will only make one rectangle, join the edges, sew the top and done. 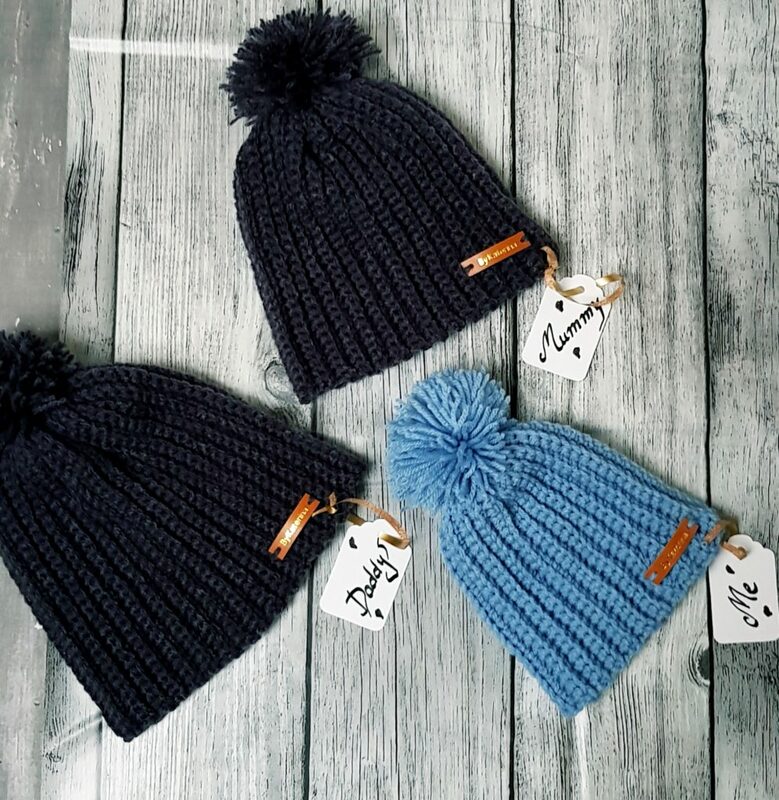 You don’t need to much yarn to make these hats. From 100 grams skein you can make an adult and child hat. Now, Let’s see the final measurement of the rectangle for the hats for each size. Take in mind that we are working a ribbed stitch and we will have to adjust the final measurement so the hat fits well. How? Our final rectangle will have the length with 10 – 15 cm (4 – 7 “)less. For example for Baby size I made the rectangle length of 25 cm, for Toddler of 30 cm, For Child of 33, for Women of 35, for Man of 45. 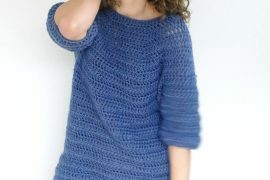 We will use for the entire hat, single crochet worked only in the back loop. Now, if you have a few hours and all the materials needed, let’s start making these super easy Daddy, Mummy & me crocheted hats. The foundation chain, give us the high of the beanie. The number of rows will give us the diameter of the hat. 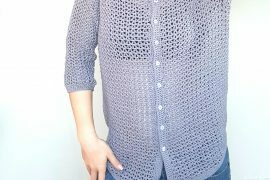 *if you are working with a different type of yarn, make as many rows as you need to get to the desired length of the rectangle. 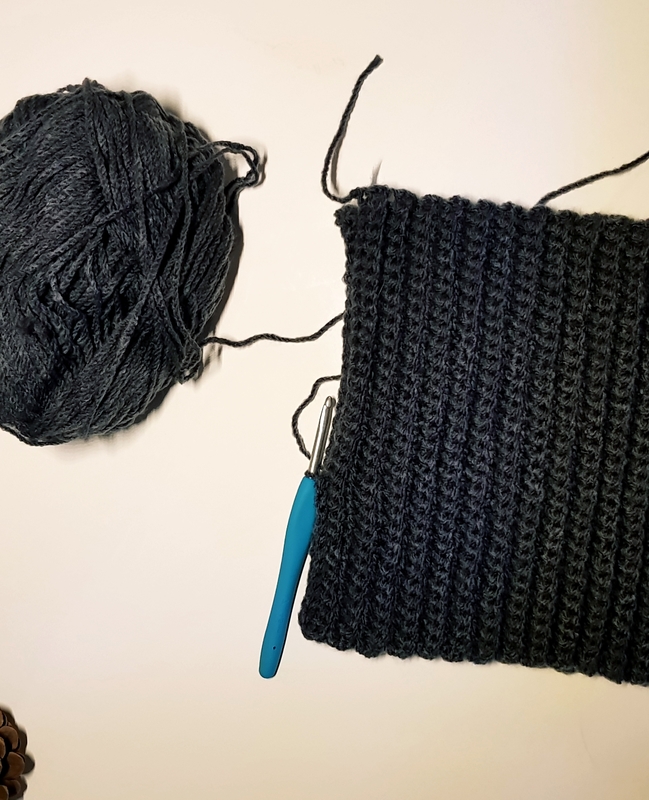 Now, fold the rectangle in half, and join the ends using the slip stitch. Next, leave a long tail to use it for sewing the top of the hat. 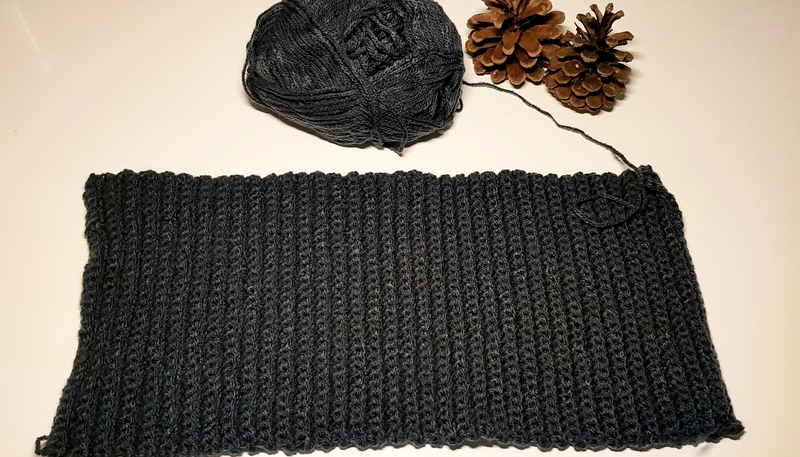 Grab a tapestry needle, one you can use it for yarn, insert the tail and then go with the needle trough each stitch on the top of the hat. When you get to the end, pull so the hat closes on top. Add a pom- pom if you want and done. See, how easy you can make a hat for the entire family. If you choose to offer this as a gift, I’m sure that everyone will think that you spent a lot of time making it and will appreciate your effort. Hope you enjoyed this pattern too and I think I can say Happy Holidays, because we are almost there. Can’t wait the next year to come with new interesting and beautiful projects.